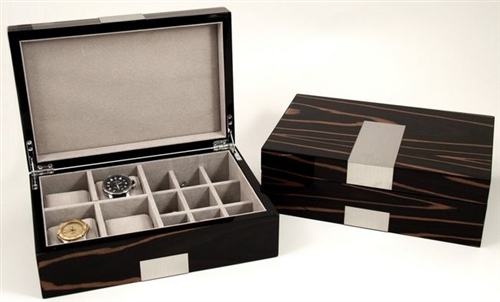 Sleek lacquered ebony burlwood valet box holds 4 watches and twelve cufflinks. 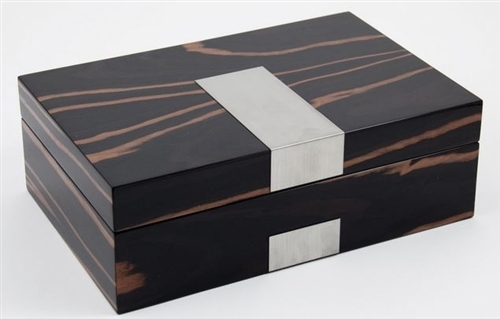 Stainless steel accent gives it a touch of luxury. 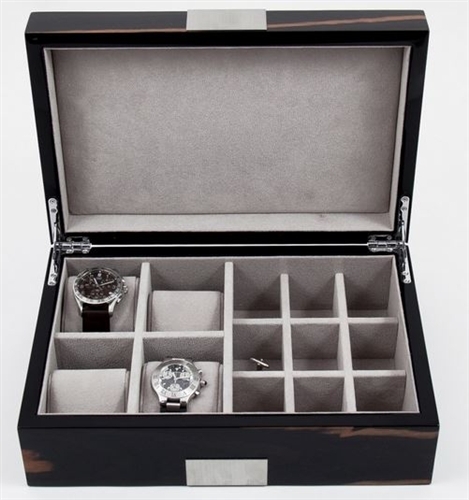 A wonderful addition to his dresser top! Six Watch, Glass Top Solid Cherry Watch Box Glass Top Solid Wood Watch Box, Mahogany Finish Solid Cherry Watchbox, 10, Glass Top Burl Wood Watch Storage Box with Solid Top and Lock.